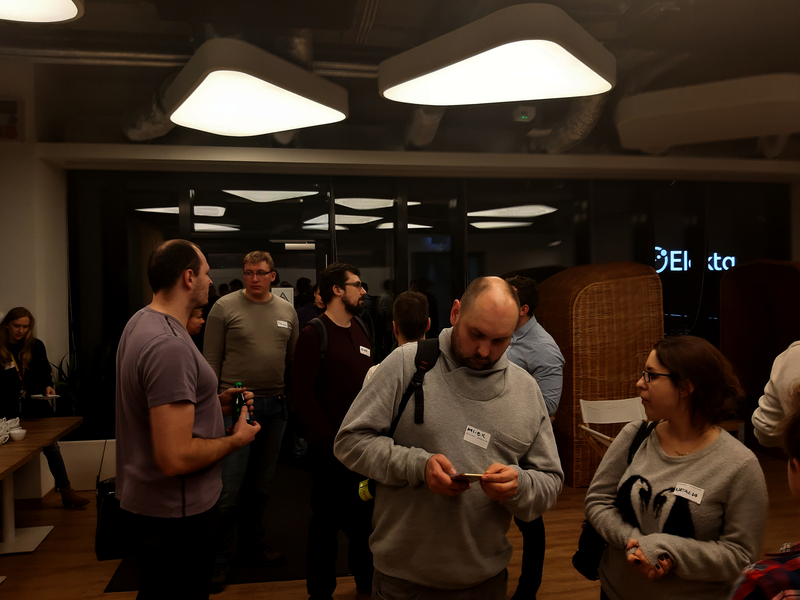 On January 24th, we met for the first time this year on the 4th, extremely exciting meetup dedicated to Serverless technology. Before the official welcome of the participants, we had a moment for networking, coffee and a loose exchange of ideas. 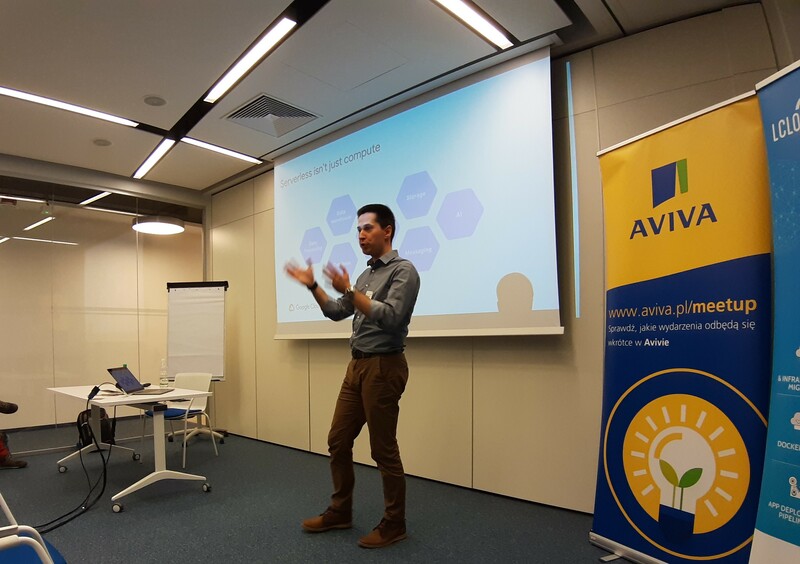 The meeting was opened by Adrian Kiełtyka (Event & Social Manager @ Aviva) and Paulina Pawlikowska (Marketing Specialist @ LCloud). After a warm welcome, we could go to the merits of the meeting – the speeches. 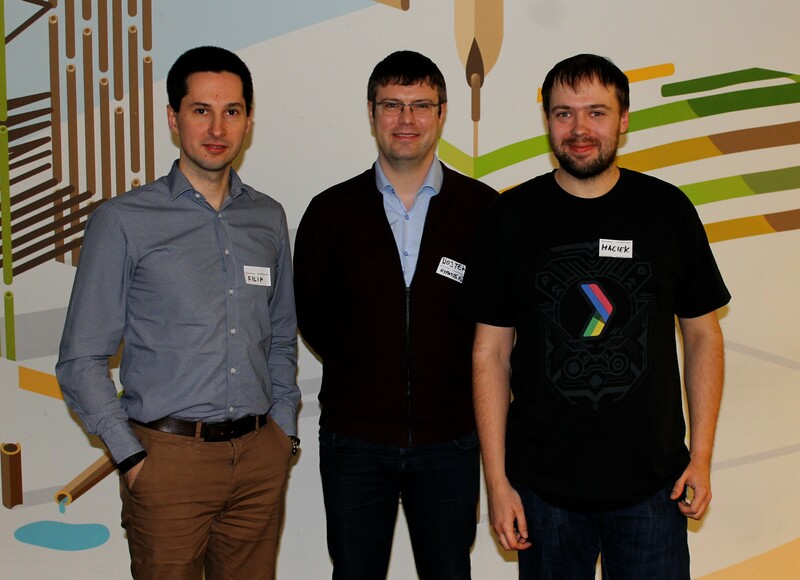 The first speaker was Filip Knapik, who talked about the challenges and opportunities of the Serverless architecture based on the Google Cloud Platform. 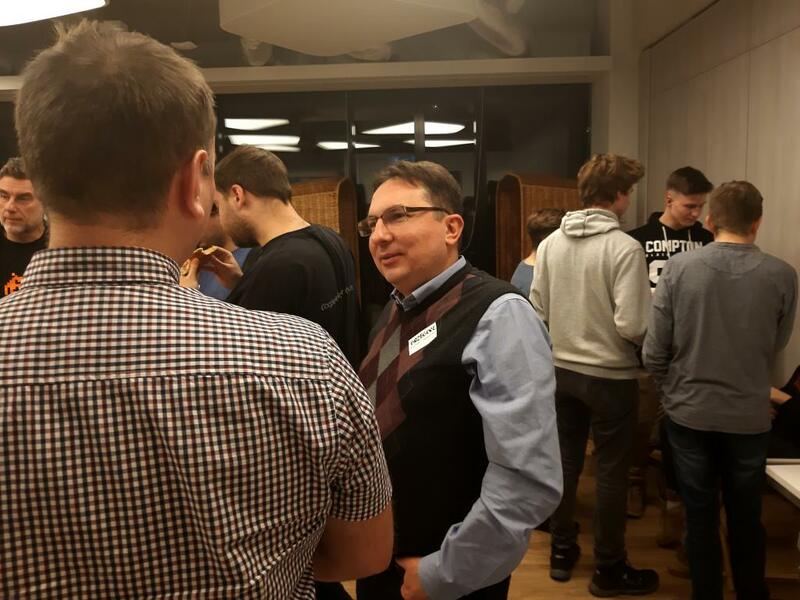 We also had the opportunity to talk about issues related to the efficiency of Serverless solutions in the public cloud and the direction of development of the entire area. Another speech was prepared by Wojciech Barczyński, who spoke on the topic related to Lambda in Golang. 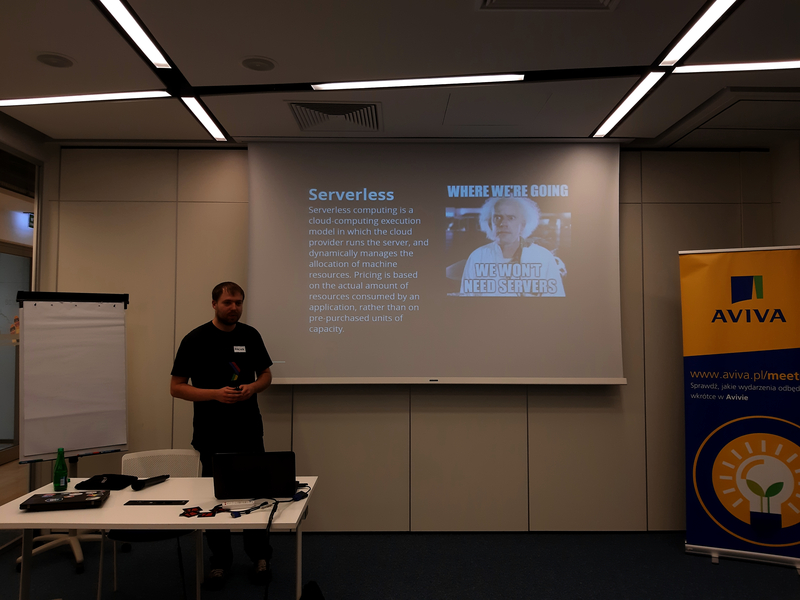 Wojtek showed how to start, why it is worth using the language of Go as-a-function, in comparison with NodeJS and presented the implementation of the Serverless framework. 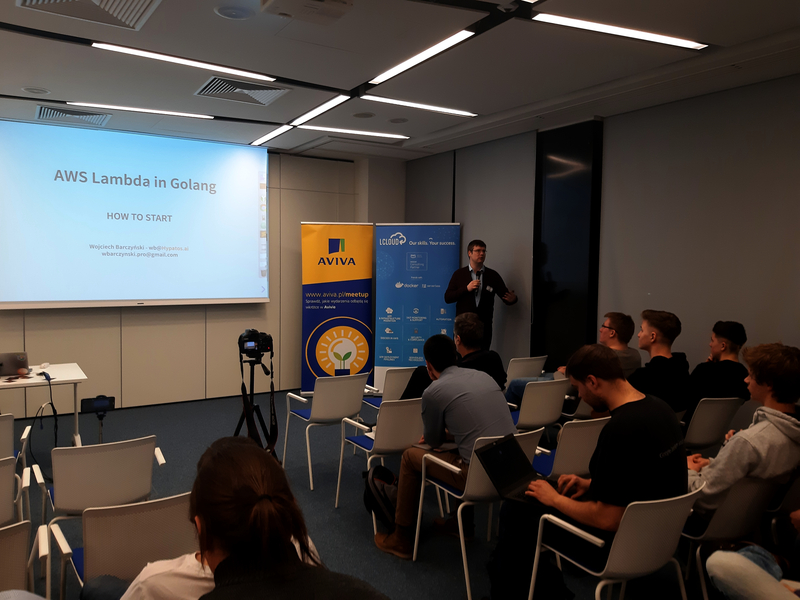 The third speaker was Maciej Sawicki, whose presentation was related to the advantages and disadvantages of implementing the Serverless platform based on Kubernetes and open implementations of Serverless solutions. 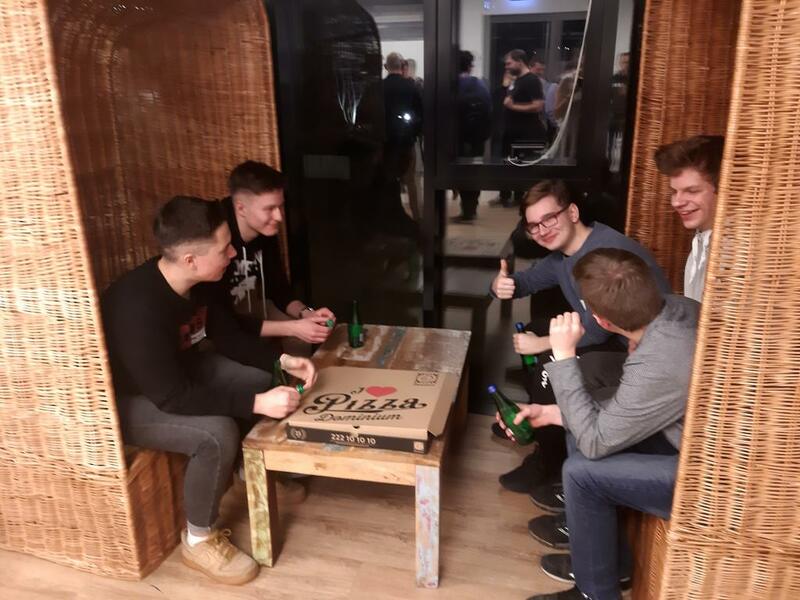 During breaks we had time for networking, exchange of experiences and a slice of pizza to recharge the battery. On our channel, you will find recordings of speeches (recordings are available only in Polish) and on SlideShare presentations from the lectures. 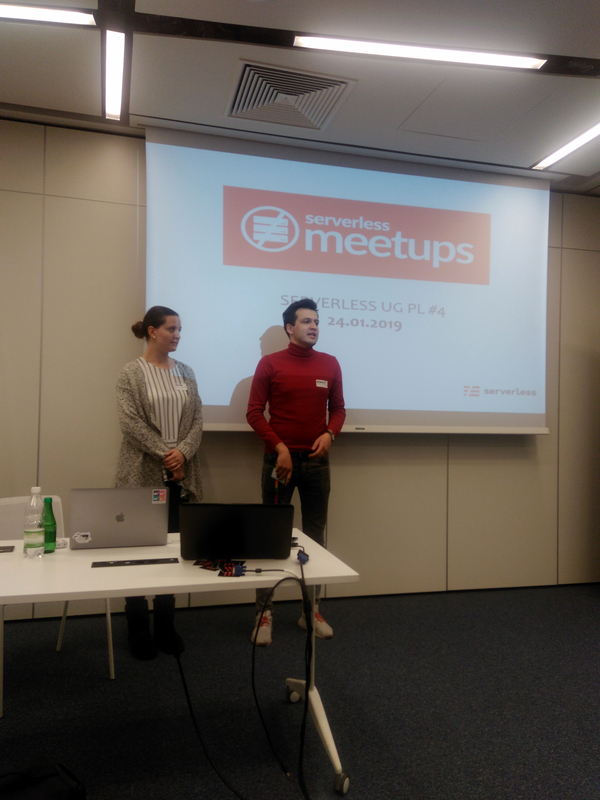 See you at the next meetups!